Alaska has 34,000 miles of coastline! That’s more than all other 49 states combined. It also has America’s largest national forest known as the Tongas. That means miles of untouched lands to explore and a plethora of wildlife to discover. Ready to unplug and experience the breathtaking wilderness of Alaska? Take your family on a once-in-a-lifetime cruise around Alaska’s coastlines and embrace nature through excursions that take you past glaciers, over mountains, and through the endless forests. If you’re planning an Alaska cruise for the whole family, we’ve got the guide for you. Read on to learn how to keep the entire family happy! When picking the best Alaskan cruise for your family, there are many conversations to have beforehand. Start by choosing your cruise’s route. There are two types of Alaskan cruises. There is the round-trip Inside Passage loop or the one-way Inside Passage-Gulf of Alaska cruises. The average length of a trip is seven days. The Passage loops will start and end at the same port. They begin in cities such as Vancouver, British Columbia, or Seattle. These cruises include two days of sailing up the coast of British Columbia, with beautiful mountain views along the way. The one-way trips will start in a city such as Vancouver, Seattle, or San Fransisco and end in Anchorage or vice versa. This is a great option if you would like to finish or start your trip on land in Alaska. The downside to this kind of cruise is it costs more to purchase separate plane tickets rather than a round-trip to the same location. There are also small-ship cruises that are Alaska-only. You can catch a trip on a yacht usually from Juneau. They offer round-trip or one-way options too. If you want to soak in every part of your cruise, then opting for a room with a balcony is worth it. Yes, it will cost you extra, but there’s nothing like waking up every morning to stare in awe at how the scenery has changed overnight. Your kids will be excited to watch the mountains drift by and spend hours searching for dolphins, seals, and whales. You can also watch for glaciers and fjords from the comfort of your room. It is a truly memorable experience for every age! Destinations on a cruise to Alaska often include a different port on each day. Whether its Juneau, Skagway, or Ketchikan, you’ll have the opportunity to go on excursions. These include activities such as mountain climbing, dog sledding, or taking airplane or helicopter tours over the fjords and glaciers. Keep in mind that these excursions cost extra, and they can fill up before you reach your destination. While there is an excursion desk onboard the ship that allows you to sign up for activities during your vacation, you should do some research beforehand. You can check online for reviews and ratings of the different excursions before you even start your vacation. This ensures that you pick the best adventures for the best cost and really maximize your experience! It also gives you a chance to discuss options with your whole family and make sure everyone gets to check a box off their bucket list. 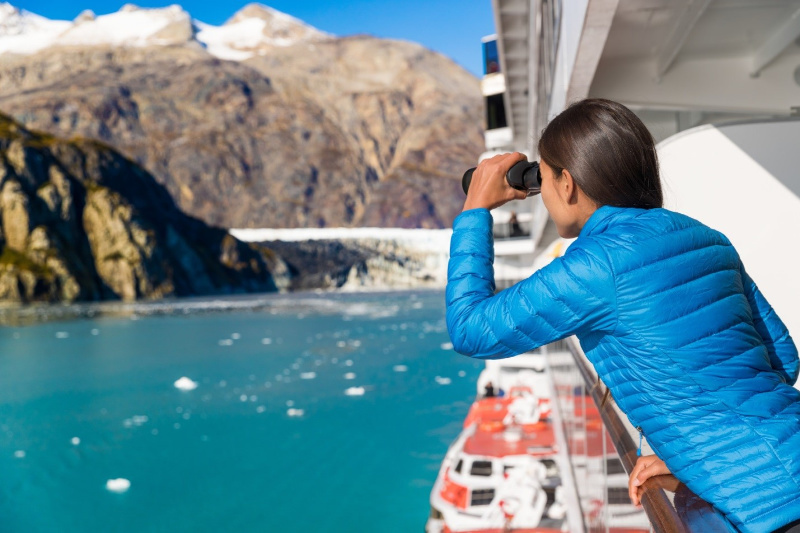 Want to Start Planning an Alaskan Cruise? The best times to plan your trip are from mid-May to late September when the weather is warmer and the days are long. May and June are typically less rainy while July and August offer the warmer temperatures. September brings brilliant autumn colors and a better chance of seeing the Northern Lights. Start planning an Alaskan cruise today! Want to find more ways to travel and have fun with your family? You can find more exciting adventures on my blog! Or share some of your own Alaskan cruise advice in the comments below.